The Sri Lankan professionals fundraising Dinner Dance event to celebrate the 12th anniversary of the Association of Professional Sri Lankans in the UK (APSL UK) was held on 16th July at the Hilton Hotel, Watford, with the presence of a large gathering of members, their families and well wishers of the Association. This year the event was dedicated to raise funds for the APSL solar village projects in Sri Lanka. The event began with the welcome address given by the President of the Association Mr Leslie Dep. 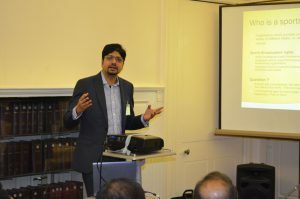 In his address, he outlined the work carried out by the Association during the last twelve years as a reputable and credible professional organisation, and also as a registered charity in the United Kingdom. He refereed to the various “Ask the Expert Series” talks, research symposiums and other knowledge sharing events conducted by the Association for the benefit of the members and the general public. He mentioned that since APSL became a charity several years ago, the Annual Dinner Dance Event was dedicated to raise funds for worthy humanitarian causes in Sri Lanka. 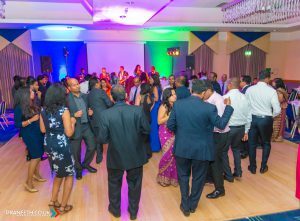 The funds raised from the event in 2014 were utilised to purchase much needed medical equipment to the renal unit at the Anuradhapura Hospital in Sri Lanka for the benefit of the patients, and from the proceedings of last year’s (2015) Dinner Dance, 10 children were enrolled into the APSL Scholarship Scheme from Chillaw and Puttalum Districts. He appealed to the gathering to support generously towards the proposed Solar Village programme, which was the theme of the event this year. Regarding supporting charitable causes in Sri Lanka, he mentioned that APSL has donated school packs (a school bag, a drinks bottle, exercise books, pens, pencils, pencil case and an instrument box) to 83 children affected by the devastating landslides in the Kegalle District recently. He also mentioned that the Association now has more than 500 members, and proudly announced that Executive Committee member and APSL representative in Sri Lanka, Dr Indrajit Coomaraswamy was appointed recently as the Governor of the Central Bank, Sri Lanka. He wished him the very best and all the success in his new position to steer Sri Lanka into economic prosperity and stability. 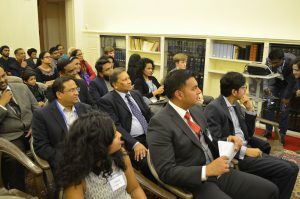 He ended his address by inviting the many young Sri Lankan professionals in the UK to join the APSL to develop their own professionalism and also to help the needy in Sri Lanka by getting involved in our various charitable projects. President’s welcome address was followed by a video showing the story of young Vajira Lakshan, studying at Jayapala Vidyalaya, Molagoda, one of the beneficiaries of the APSL Scholarship Scheme from Kegalle district. In this video, he explained the hardships he and his family had to undergo prior to receiving the grant from APSL each month. His teachers also praised him for his good work in his studies. The scheme now sponsors 30 children, and APSL is planning to expand it in the future with more sponsorships from donors who wish to support education of gifted and needy children. Under the APSL Scholarship Scheme every child is given Rs 5000 in the first month and thereafter Rs 3000 per month. To raise awareness of the replication of Solar Villages, which was the theme of the event , Prof I M Dharmadasa (Past President APSL) a global expert in solar energy research studies, delivered an excellent presentation on the concept of Solar Villages by citing a pilot project completed in the Kurunegala District. He also explained in detail the benefits of such projects, where the people living in these villages are empowered to be self-sufficient and be prosperous in the future. He also pointed out the positive effect on the environment when using solar power by referring to the pilot project where the use of diesel pumps to pump water form a well to distribute water to the village were changed to pumps powered by solar power, Prof Dharmadasa also highlighted that in addition to the environmental benefits, the villagers are now saving a large sum of money spent on diesel, which they now use for their other requirements of the village. It was a highly informative and thought provoking presentation, and was appreciated by everyone in the audience. A Dutch auction conducted by Dr Andrew Nayagam (Past President APSL) raised much needed funds for the solar village projects in addition to the money raised by the raffle organised by Mrs Gayani Senaratne, APSL Membership Secretary. We wish to thank the following organisations/members for providing the raffle prizes. Music was provided by Exceed who were able to make everyone enjoy and dance until well past midnight. The event was compered by Mr Thushara Madurasunghe (one of the Vice Presidents of APSL) and Miss Paula Bethmage an executive committee member of APSL. They did an excellent job on the night with the support from Dr Leshan Uggala (Ex Co member) in choreography. The APSL bi-annual Newsletter “Professional” edited and published by Dr Chesmal Siriwardhana (the other Vice President of APSL) was distributed to the gathering. 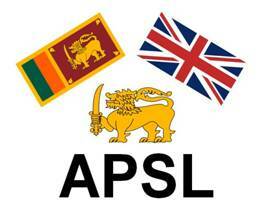 It provides a brief account of the work APSL is engaged in the United Kingdom and in Sri Lanka. Mrs Gayani Senaratne delivered the vote of thanks. She thanked Newslanka, Sesatha, Serendib News and Ceylon UK, who always support our events by publishing the APSL event notices in their respective media. Finally she thanked all those who attended the event to support our work and to raise funds for the APSL Solar Village projects in Sri Lanka. It was another very successful APSL event – thanks to all in the APSL Executive committee who worked so hard during the last three months to make this a very enjoyable and memorable event.